Hi Everyone! 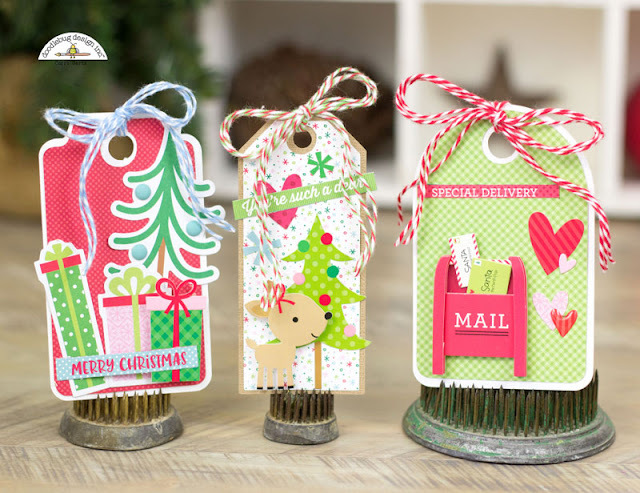 It's Corri today with some fun Christmas Tags featuring the new Here Comes Santa Claus Collection! For my first tag, I used some of the Odds & Ends to decorate. I just love how many goodies are in this package! I finished it with the Merry Christmas Sentiment from the Santa Celebration Double Sided Cardstock. For my next tag, I used some of the ADORABLE stickers from the Icons Sticker Sheet. 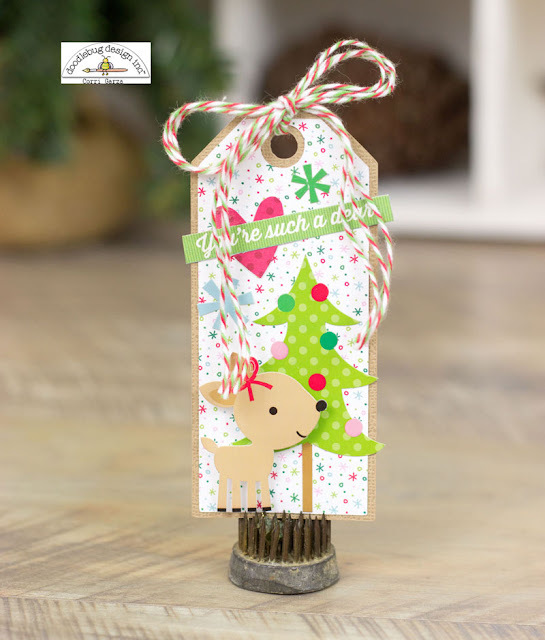 I just love that little reindeer! 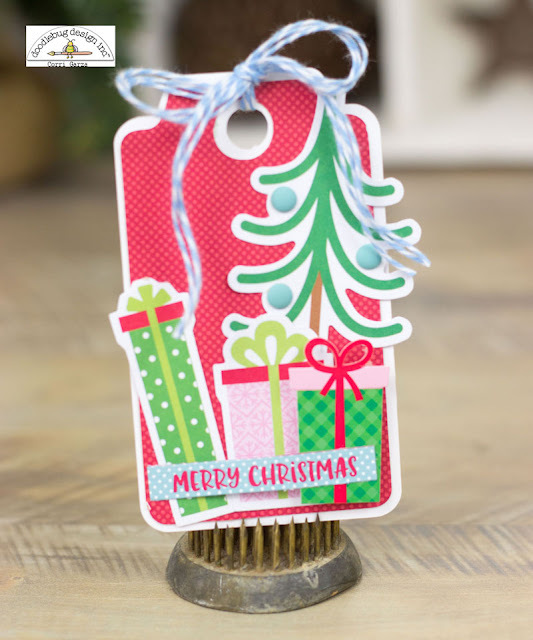 The sentiment is also from the Santa Celebration Double Sided Cardstock. For my final tag, I used the Dear Santa Doodlepop. I just love that little mailbox! To finish the tag I added some stickers from the Icon Sheet and a shaped sprinkle! I hope you've enjoyed this fun Christmas project! These are too cute! 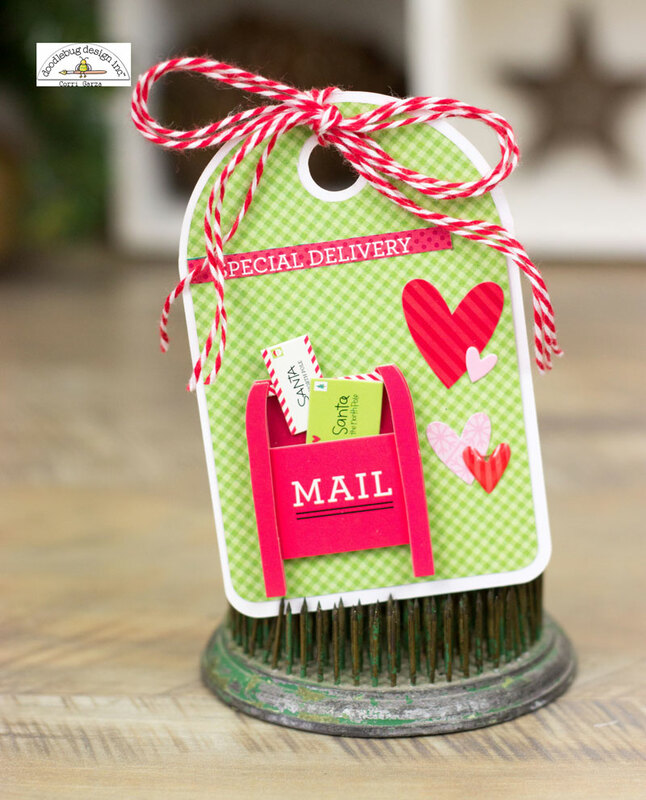 Love that little mailbox with all the letters!